The Howard Levy Harmonica School has been embraced by the harmonica-playing community and by students across the world. It is clear that the ArtistWorks platform is redefining online visual education. The video exchange format enables worldwide student enrollment, allowing Master Class-level teaching to reach harmonica enthusiasts of all types, in all countries. ArtistWorks, Inc. (AWI) The Howard Levy Harmonica School online has appreciatively received a warm and enthusiastic response from the harmonica playing community and student base from around the world. The Howard Levy Harmonica School, an online video-exchange-based learning site for harmonica players created by ArtistWorks, is led by Howard Levy, arguably the world's most prominent harmonica master. The nature of this innovative school is its appeal to players from novice to virtuoso. The range of music taught includes Blues, Jazz, Folk, World Music and more, with technical instruction in bending, overblowing, developing speed, and basic music theory to help students be able to play well in all these styles. A person can enroll in the "HLHS" a beginner, and can learn and improve rapidly to become an advanced player. The HLHS has hundreds of pre-recorded HD video lessons, with more added each week. In addition to video exchange interaction with Howard, students participate in a very active and supportive online community and help each other advance in their playing as well. Launched in December 2009, the HLHS has experienced a surge of new student enrollment and the support of top industry leaders and media. Hohner USA has embraced the program with an exclusive offer of a "Special 20" harmonica (valued at $47) to new student members, a promotion kicking off this month, and a significant article appeared on Harmonica411.com, offering an overview of the Howard Levy Harmonica School and an in-depth look at Howard's technique and approach to playing. 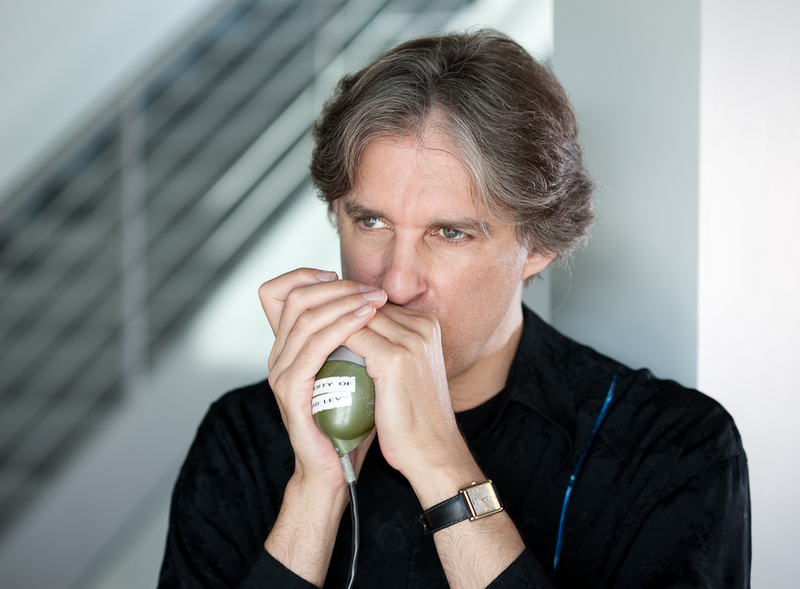 The breaking news of this one-of-a-kind learning platform from the man universally acknowledged as the world's most advanced diatonic harmonica player has landed students from all around the USA and Canada, as well as many international students from South America, Europe, Asia, and Australia. HLHS students learn by video exchange with Howard Levy, submitting clips of their playing to Howard for his review. Howard then provides a personalized video response to the student offering guidance on mastering the lesson. The exchange between teacher and student are permanently recorded and paired on the site for the entire Harmonica School to learn from, and breaks new ground in learning a musical instrument online. Renata Yambaeva is a new student based in Russia who enrolled last month and shares, "I really like this format. The lessons are helpful, interesting and pleasant. Howard found right length of a lesson - about five minutes, it's the perfect time. And I really appreciate Howard's sense of humor, the lessons never bore!" Tapan Bhatt, an India-based student who is also the Secretary of the Harmonica Club of Gujarat respectfully notes, "I feel I am late by many years in learning from Mr. Levy. In true spirits, I am extremely enjoying the lessons." "It is clear that the ArtistWorks platform is redefining online visual education," says David Butler, ArtistWorks CEO, "the video exchange format enables worldwide student enrollment, allowing Master Class-level teaching to reach harmonica enthusiasts of all types, in all countries. The additional support of leading harmonica market contributors only reaffirms the necessity and interest of the harmonica education curriculum." The recent addition of "New Tune Fridays" to the HLHS presents students with one or more new song lessons with backing tracks, with a message of encouragement to try different playing techniques over it. This effort cheers students on and inspires them to play something new each week in addition to their regular lessons. Learn a new tune this Friday at the Howard Levy Harmonica School online at http://www.howardharmonica.com.